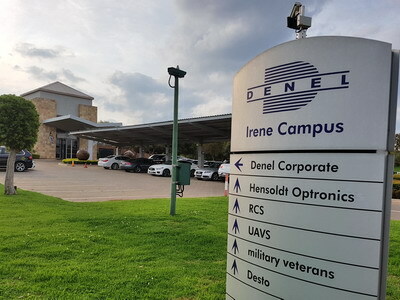 Former Public Enterprises Minister Lynne Brown’s appointment of a new board at Denel came under the spotlight at the Zondo commission of inquiry into state capture on Monday when it emerged that Denel was pressured into establishing the controversial Denel Asia joint venture. Public enterprises deputy director general Kgathatso Tlhakudi told the Zondo commission that Brown’s 2015 appointment of the Denel board, chaired by Daniel Mantsha, led to “poor decisions” being made by the company. He described the board as “ill-equipped”. Before the new board was appointed, the company’s performance was “very pleasing – year-to-year they were exceeding the corporate plan,” he told the commission. Things started deteriorating when the Department of Public Enterprises took over the process of finding new board members in late 2014, replacing the Denel process. Tlhakudi was sent a list of names, which included Mantsha’s. Mantsha was struck off the roll of attorneys but was back on the roll when he became Denel chair. “Mantsha was at some point struck off the roll of attorneys. That doesn’t seem to be a good background to bring to chair an entity like Denel,” Tlhakudi said. “One of the things that Brown emphasised very strongly when she arrived at the department [of Public Enterprises in 2014] is that she is the shareholder representative and that as officials, literally, we should know our place and we cannot act without her directive,” said Tlhakudi. This resulted in her board members being appointed. After appointing the new board, key Denel executives that had helped resuscitate the company were axed or suspended, including then-CEO Riaz Saloojee and Chief Financial Officer Fikile Mhlontlo as well as the Company Secretary. Mantsha then pushed ahead with the controversial Denel Asia deal with Gupta-linked VR Laser Asia without following proper regulations. Tlhakudi said Denel employees were pressured by both Mantsha and then minister Lynne Brown to go through with the transaction. The Zondo commission heard that the Denel Asia deal was timed to coincide with the appointment of Des van Rooyen as the new finance minister in December 2015. Denel sent the paperwork for Denel Asia to the Department of Public Enterprises on 10 December 2015 just as Des van Rooyen was appointed finance minister. However, due to the outcry at having van Rooyen appointed to replace Nhlanhla Nene, van Rooyen was sacked and replaced by Pravin Gordhan, who rejected the Denel Asia deal. Denel tried to push ahead with the formation of the company in January 2016, but in the end never succeeded as it failed to secure Section 54 approval from the Minister of Finance in terms of the Public Finance Management Act (PFMA). Denel would have shared its intellectual property with VR Laser Asia, which had no track record in Asia and no established presence. Denel has estimated that state capture wiped out R3 billion in revenue. Tlhakudi said that under the captured Denel board, revenue halved by 2017 after major growth between 2011 and 2016 and that Denel is still dealing with “repercussions of that Mantsha board”. The commission resumes on Tuesday with testimony by former Denel board chairperson Martie Janse van Rensburg and former VR Laser shareholder Benny Jiyane.